Product prices and availability are accurate as of 2019-04-04 13:09:46 EDT and are subject to change. Any price and availability information displayed on http://www.amazon.com/ at the time of purchase will apply to the purchase of this product. This Mainstays Stand Toilet Paper Holder is a wonderful choice for people who want a cohesive look in their bathroom. On this convenient holder, you can place multiple rolls of toilet paper, so you'll always have one at the ready. They are easy to put on and easy to take off when you're finished with them. 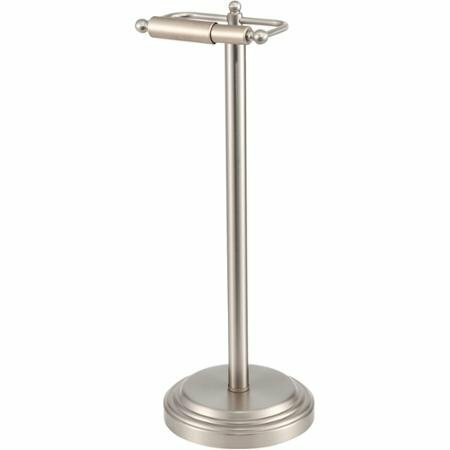 The look of this brushed nickel toilet paper holder matches with existing decor seamlessly.